Working directly with nPower and Kirklees County Council, Rural Energy managed the provision of a large scale 2MW heating plant for over 180 houses/maisonettes. Rural Energy, nPower and Kirklees County Council worked together to combat fuel poverty. nPower regularly funds renewable energy projects across the UK with its ‘offset’ funding packages, this funding helps nPower to give back to the communities where the need is greatest. Eightlands is a prime example of a deprived area that needed investment. Rural Energy acted as main contractors for this project, providing full design and installation services as well as co-ordinating works, deliveries and subcontractors on site. Subcontractors included Kirklees County Council contractors, Geoffrey Robinson Ltd and A1 Flues. The project involved the design and installation of 2MW (500kW Herz BioMatic with v-profile aluzinc prefabricated fuel store plus 1.5MW high efficiency gas back up boilers) of heating power for a central plant room. Extensive asbestos removal was also required which Rural Energy managed through an experienced subcontractor. 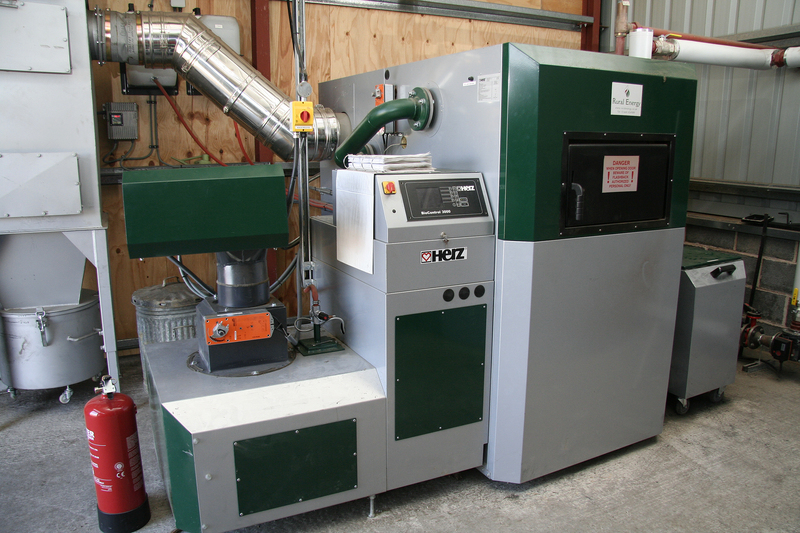 The biomass boiler and gas provision can both be controlled centrally for the 180 residential homes meaning a constant supply of heat can be maintained if there is an issue with either the gas or biomass equipment. See the attached case study for more details.